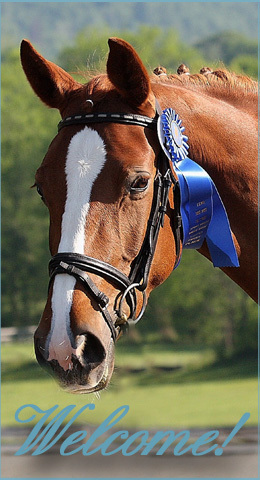 Black Ice was awarded Class I distinction for both Dressage and Jumping for his Three year old Test at the 2010 SWANA Inspection. At his initial Swedish Inspection Black Ice was the high scoring foal of the day. 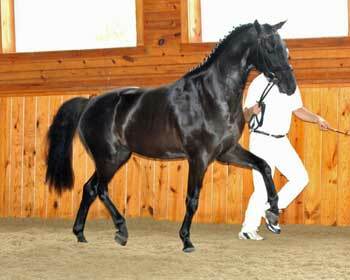 Black Ice scored 49 points at this Swedish Inspection, one of the highest scores in the country, and was recommended as a Stallion Prospect. He received a 9 for head, neck and body. Welcome Home BSF Chestnut Hill! 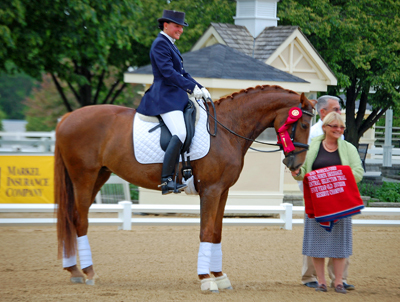 Shelly Reichart rides Beall Spring Savanna to Reserve Champion at the 2010 USEF Young Horse Central States Dressage Selection Trials for the FEI World Breeding Championships! Paradigm Farm's Shelly Reichart and Savanna, proudly owned and bred by Thora Pollak of Beall Spring Farm, had a successful weekend at Lamplight May 20-23, 2010. Not only did they win the qualifying class before the Trials, they went on to win the title of Reserve Champion at the 2010 USEF Young Horse Dressage Central States Selection Trials for the FEI World Breeding Championships in Verden, Germany. 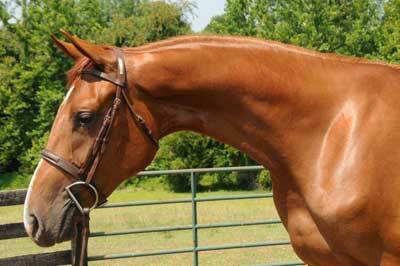 Helga, our 2009 Welsh X Sport Pony filly is by Meadowbrook's Special Edition out of Rapunzel. Helga is currently in training with Richard Taylor and is offered for sale. Move your mouse over picture to view caption. Select a picture to move to horse's bio. West Wind was SOLD ! Congratulations Kaitlin Spurlock! Our first baby of 2010! Born March 24, 2010 at 9:54 pm. 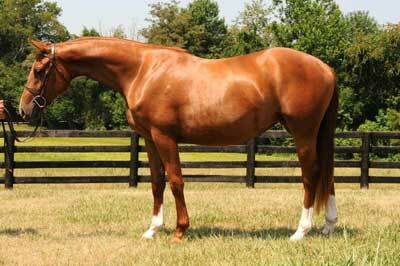 Professionally started, we see her developing as an excellent hunter/jumper or dressage prospect. Jan. 9th and 10th in Florida - Our Beall Spring Savanna, shown by Valerie Vizcarrondo won both of her First Level classes. On Saturday, showing First Level 1, she received 73.667%! On Sunday, showing First Level 2 she received a 66.111%! Sunflower, also shown by Valerie Vizcarronda, won her Training Level 1 on Saturday with a score of 70% and was second on Sunday with a 61.429%! Go girls! In 2010, Thora Pollak was elected to serve to the SWANA Officers & Board of Directors! The Swedish Warmblood Association of North America (SWANA) is a non-profit organization dedicated to breeding and promoting Swedish Warmblood horses in North America. 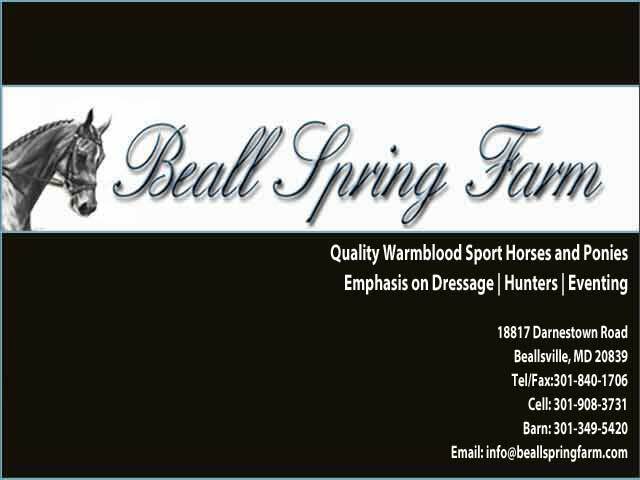 © 2009 - 2016 Beall Spring Farm, LLC. All rights reserved.